So what is industrial engineering anyway? It’s simple. 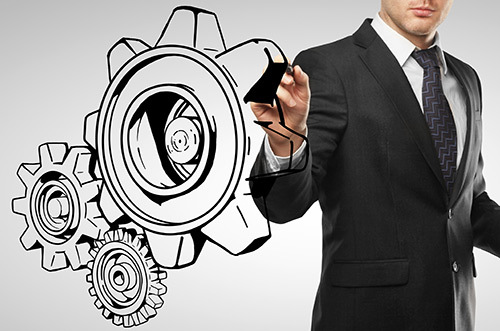 Industrial and systems engineering is about figuring out how to do things better. It combines the physical and social sciences together with engineering principles to improve processes and systems. As a result, industrial and systems engineering is the "people person’s" engineering. Industrial and systems engineers improve quality and productivity while at the same time cutting waste like time, materials, money, and energy. This is why many industrial engineers often get promoted into management positions. For the same reason, industrial and systems engineering is an excellent choice for anyone wanting to run their own business. Studies show that 3x as many S&P 500 CEOs hold undergraduate degrees in engineering rather than business administration. Industrial and systems engineers are leading that trend among the next generation of engineers. They are tomorrow’s business leaders. As companies battle in the competitive world market, the need for industrial and systems engineers grows. Why? They are the only engineers trained to be productivity and quality improvement specialists. They share the common goal of saving companies money and increasing performance. Industrial and systems engineers have offices as well as work in the settings they are trying to improve. When collecting data, they may observe the staff working in a restaurant or watch workers assembling parts in a factory. When solving problems, they are in an office analyzing the data that they or others have collected. Industrial and systems engineers work in almost any industry, anywhere in the world. They can work in and out of the office while they interact with people and processes they want to improve. It’s this flexibility that gives them a career advantage over other types of engineering. Industrial and systems engineers have the luxury not to specialize. They can keep their options open. This makes them immune to the ups and downs of any individual industry. When considering a career in industrial and systems engineering, it’s logical to ask, "Will I be able to get a job?" 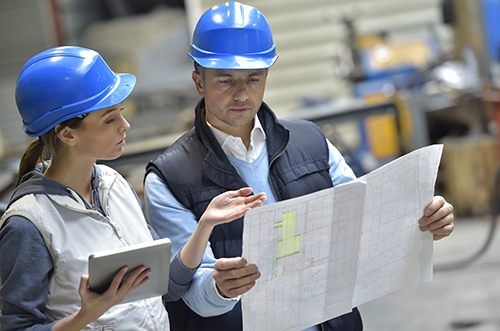 Experts predict that industrial and systems engineering employment will continue to grow over the next decade. This is faster than the average for all occupations. In fact, over 95 percent of our students have a job at graduation. Many of them have found one BEFORE the start of their final semester. At our College of Engineering Career Fairs, over one-third of the 300+ companies are looking for industrial and systems engineers. Companies look for new ways to reduce costs and raise productivity every day. They will turn to industrial and systems engineers to develop more efficient processes and reduce costs, delays, and waste. This leads to job growth for these engineers, even in manufacturing industries with slow-growing or declining employment. Because their work is like that done in management, many industrial and systems engineers leave the occupation to become managers. It is a great time to be an industrial and systems engineer. They solve problems and there’s never a shortage of those!